Saganaki – A Greek Favorite! Soup of the Day, Lemon Rice, or Chicken Noodle. Salads served with grilled pita and choice of dressing. Dressings: Greek, Ranch, Italian, Caesar, Thousand Island, French, Bleu Cheese, Honey Mustard, Poppy Seed, Oil & Vinegar, Raspberry Vinaigrette, Lite Ranch, Lite Italian. 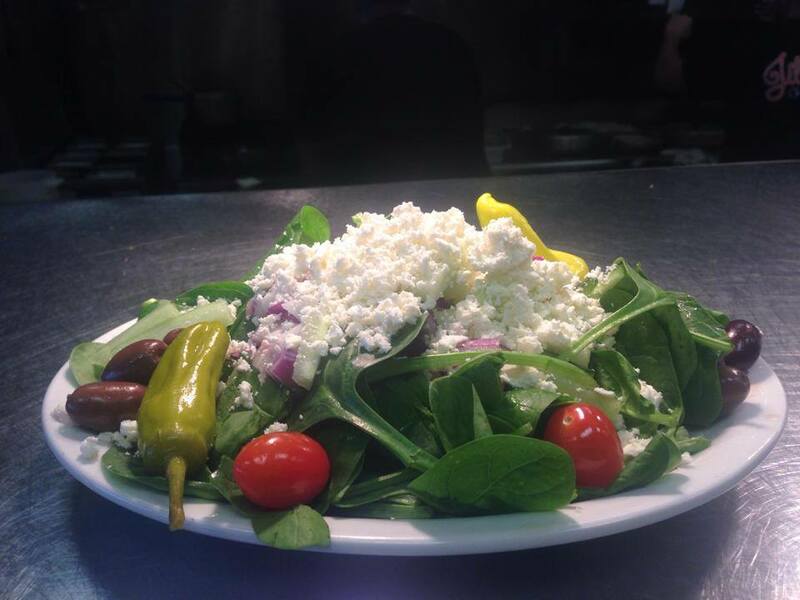 our house salad made of chopped Iceberg lettuce, fresh dill feta cheese, green peppers, and onions; along with tomatoes cucumbers, beets, kalamata olives, pepperoncini peppers and tossed in our Greek dressing. Chopped Iceberg lettuce, ham, turkey, tomatoes, cucumbers, onion, hard boiled eggs, American and Swiss cheese. Crisp Romaine lettuce, topped with croutons and Parmesan cheese. 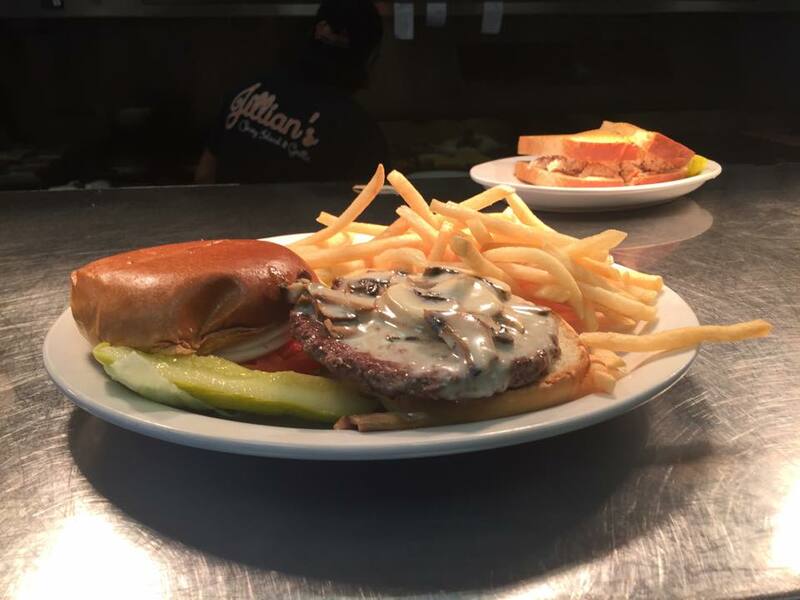 Served with Caesar dressing. Chopped Iceberg lettuce topped with feta cheese, Greek olives, tomatoes, onions, beets, and pepperoncini peppers. Served with our house Greek dressing. 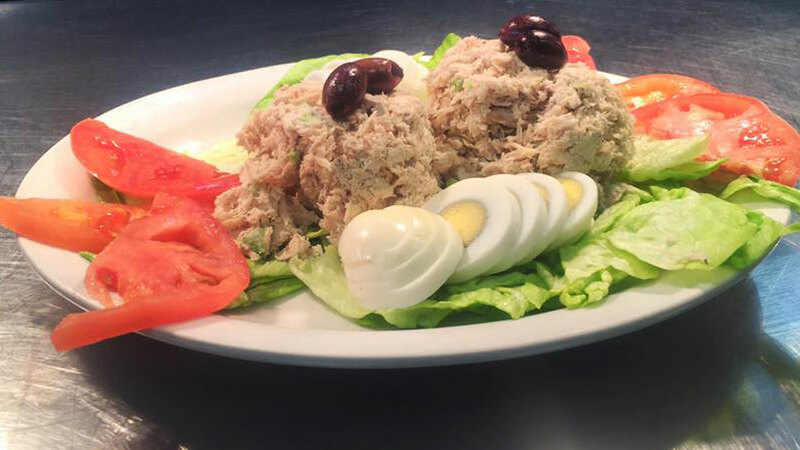 Bed of lettuce topped with tuna salad, tomatoes and hard boiled egg. Red onions, tomatoes, cucumbers, pepperoncinis and olives. Chopped Iceberg lettuce topped with julienne sliced hard salami, Swiss cheese, and ham along with tomatoes, cucumber and hard boiled eggs. Crisp Romaine lettuce served with feta cheese, dried cherries, glazed pecans served with a side of poppy seed dressing. 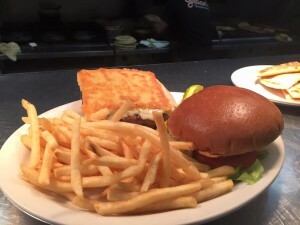 All burgers are 1/3 lb, 100% pure ground beef patties served with lettuce, tomatoes, onions and pickles Make it a deluxe with one of the following for 2.29: Soup, side salad, coleslaw, cottage cheese, choice of potato or rice.